Home / Blog / Rhinoplasty Worth It? 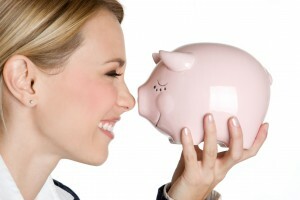 What Does Rhinoplasty Give You? Rhinoplasty (more commonly referred to as nose cosmetic surgery or nose plastic surgery or nose job) is a surgical procedure that reshapes and resizes the nose to give you more beautiful look to your face. 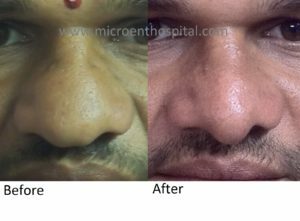 Nose Reshaping can correct many deformities of your nose like depressed Nose Bridge, hump on the Nose Bridge, broad tip of nose, droopy tip of nose, crooked nose, deviated nose, or fractures of nasal bones due to accidental injuries. Some people don’t like to undergo surgery. These people can take fillers to smooth out humps and bumps. But, the effects of fillers are very unreliable and temporary. And fillers are useful for minor corrections only. You just need clear information about the surgeon who is operating on your nose. Online search gives basic information, but meeting personally and take rhinoplasty consultation gives you the complete information about the rhinoplasty surgeon. And also this gives you the correct information about your nose deformity and the how practical it can be corrected and get good results. 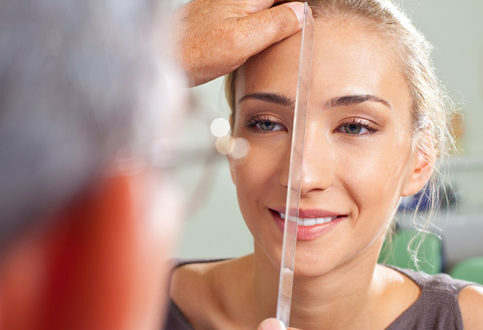 Most of people who underwent rhinoplasty operation feel it as worthy. Because, rhinoplasty gives you not only good shape and good size to your nose, it also gives you confidence, self-confidence to move freely socially among your friends. 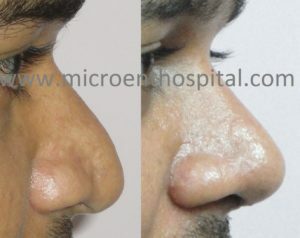 The recovery period after rhinoplasty is also not too long. One week after the surgery, you can go to your office as usual. You will have a bandage over nose which can be removed after one week in most of cases. Presence bandage does not mean that you need to take bed rest for one week. You can go out and do your works even with bandage on your nose. Bandage is for protection of your nose to prevent accidental injury to your nose before it heals. Many people feel recovery period is not a concern when compared to the good looks your face gets.